English football club Salford City yesterday released their new home kit for the 18-19 season. The new Salford City FC 2018-2019 home is again made by Umbro and sponsored by Super6. The new Salford City FC 18-19 Home kit is predominantly red with the white applications on the back side of the collar and area from the shoulders to the armpits. ‘Integrity+Industry’ is written on the upper back of the new Salford City FC 18-19 home kit. 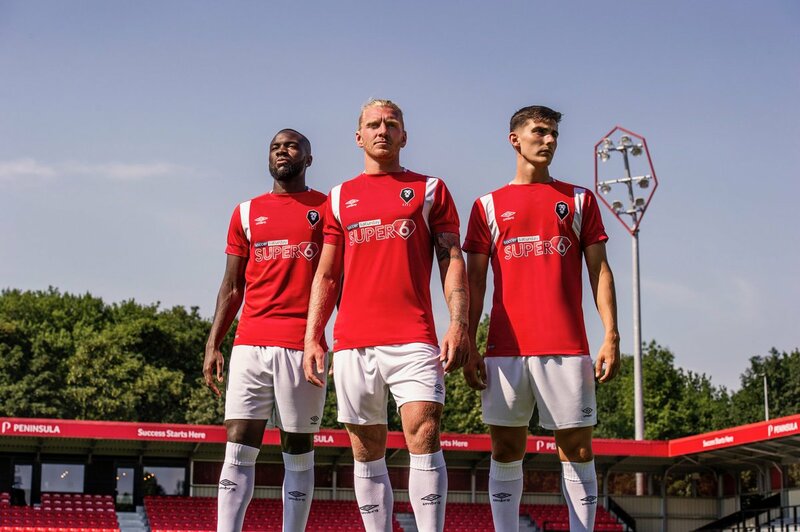 White shorts and white socks complete the Salford City FC 18-19 home kit.